Vegetation. Can too much ever be enough? Well, if you have ever been to one of those all-you-can-stuff buffet places, and seen folks making repeated laps around the salad bar, then the answer might be no. But as for aquatic vegetation, you have to realize as with anything to do with the sport of fishing, plain and simple, there can be a thin line. There can be too much and there can be not enough. 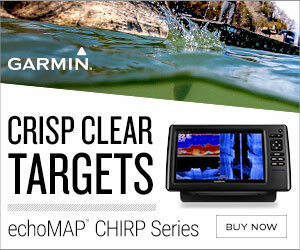 We as anglers, simply have to hope on one end of all these thin lines are better opportunities to catch fish. Seriously, there is a Goldilocks Effect (just the right amount), if not thin line, when it comes to successful fisheries and aquatic vegetation. And this just-right amount always varies with personal opinion. I think the best judge is the condition of your fish, especially in a small lake or pond is a creel survey of your own, so to speak. At the very least you want a constant awareness of potential problems that “too much” or “not enough” can create. What makes the aquatic vegetation dilemma so cloudy is there are so many factors involved, like lake size and growing conditions. There’s vegetation variety for sure. For example, in size alone, what’s labeled aquatics might include something as tiny as phytoplankton all the way up to a willow or cypress tree. And depending on opinion, there’s “good” and there’s “bad.” Again, it’s all subject to an angler’s situation, wants and desires for those using the waterway. Take milfoil on large reservoirs, for example. Where anglers love it for fish habitat up to a point, other recreational boat owners may not want it all. It’s a tough thing to make everyone happy, for sure. Vegetation almost always has real pro-con relationship, and that goes back to that thin line I mentioned. Just a few things on the positive side of a long list of pluses for aquatic vegetation, are: vegetation creates a great nursery for fry; it can strengthen the food chain habitat-wise; and it can help water quality. A few negatives on what can be an equally long list, include: vegetation can take over and impoundment if not kept in check; it can make fishing and boating more difficult; and it could hurt water quality. 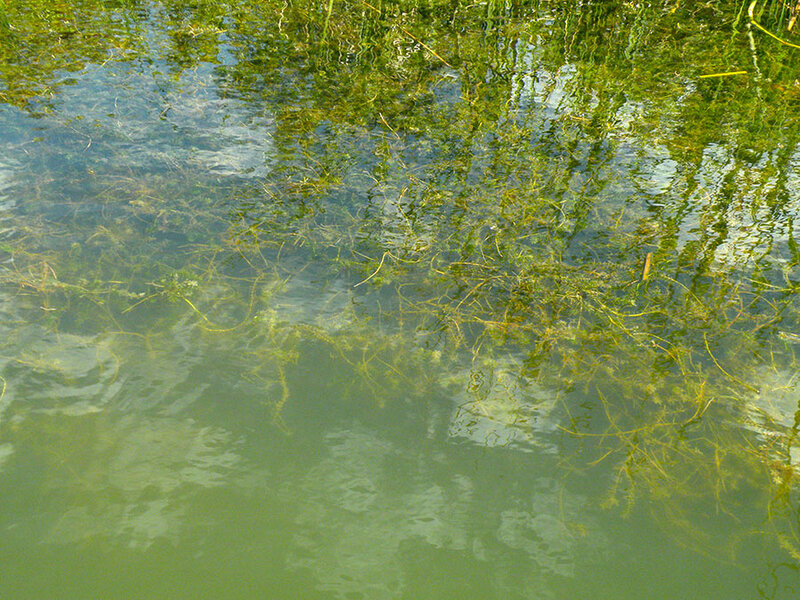 Note I said aquatic vegetation can either help or hurt water quality…it all depends upon the situation, there. Take oxygen content for example. So, it’s really hard for anglers to make the claim, the more vegetation the better when it comes to fishing. “A lot” is a relative term, of course, but as mentioned, even the good aquatics can be too much of a good thing, especially in small impoundments. Too much vegetation also lets too many smaller sunfish escape predation and often results in mediocre, at best; bass spawns due to predation by sunfish, and all this can lead to a small impoundment that is out of whack. My suggestion is to monitor the aquatic vegetation in your small impoundments. Be aware of the benefits as well as the problems it can cause. One of the luxuries of smaller fishing holes is there’s more control. You can manage it for the benefit of your fishing success. Simply be mindful and aware. Know the benefits, but also be aware that aquatics can be definite proof of the term a “growing problem.” It can easily be like that yard that didn’t need mowing yesterday, but has to be mowed twice today. And when in doubt, check with your extension service, an agency fisheries biologist or some other aquatic fisheries specialist. Maintaining good fishing is worth the extra effort.